Winter is fast approaching here in beautiful Colorado. I decided it is time to go over my herbal health care kit and replenish some of the things that will get us through cold and flu season. Before I had my son I rarely kept cold and flu medicine on hand. As an adult I could put up with a night’s suffering before I get the chance to run to the grocery or health food store and get the medicine I need. 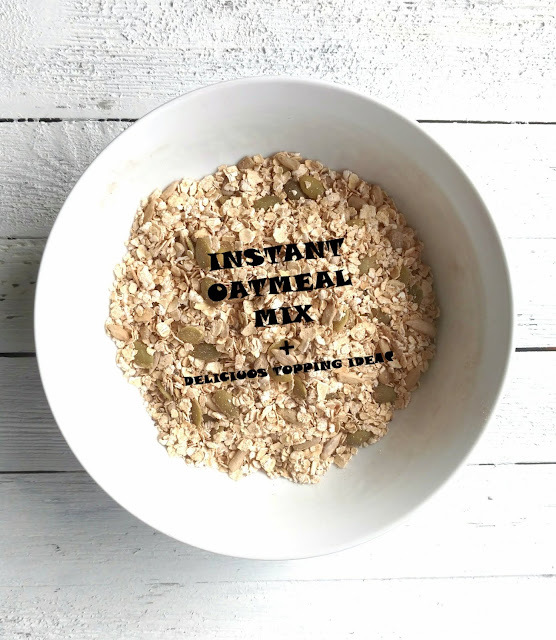 After Max was born I decided I needed to be more organized and keep enough natural remedies prepared to get us through the cold fall/winter/spring months, and to be able to provide relief immediately. An unhappy baby makes for unhappy mom and dad. I had to be better prepared. So here are a few items I always keep in my health care kit. (I call it a health care kit and not a first aid kit. Even though I keep first aid items in the kit as well, a lot of the remedies are intended for prolonged use and provide immediate as well as long term healing/ relief). I always keep a few tinctures on hand. 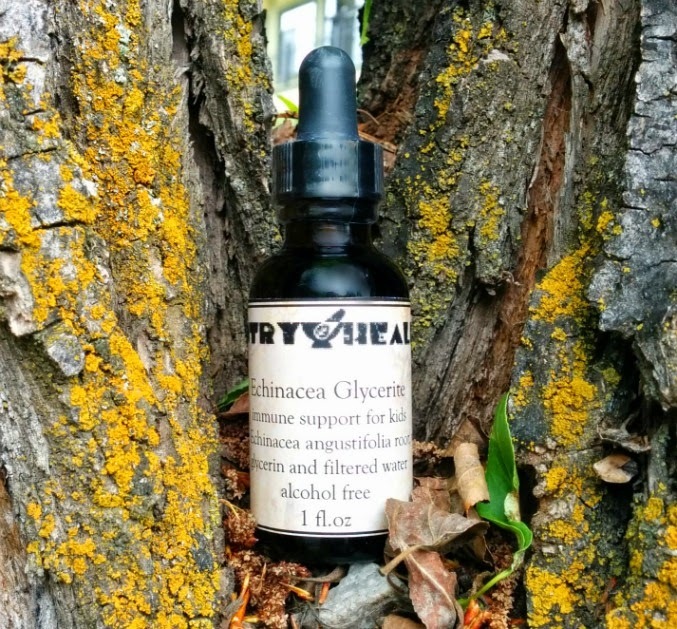 A tincture is the fastest way to get the benefits from the healing properties of the plants. 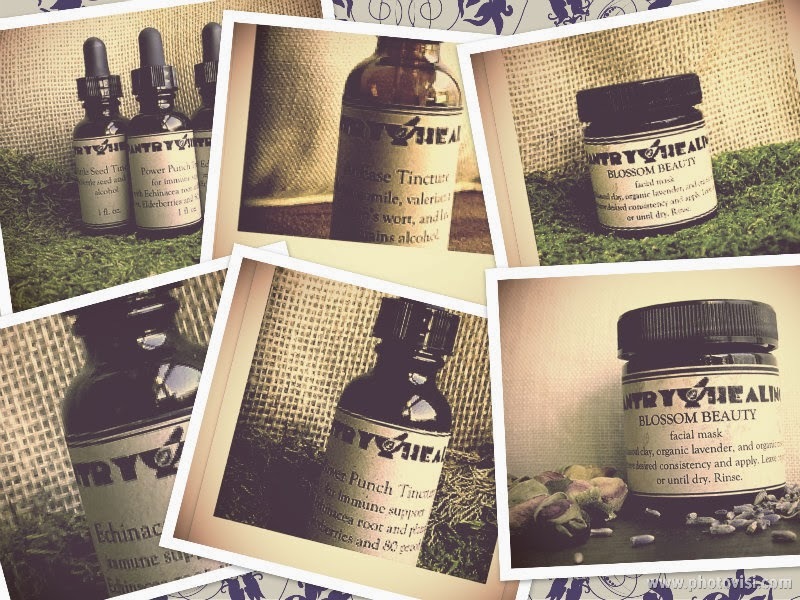 Tinctures are a concentrated form and do not require a great amount to be administered in order to see results. I use some alcohol based and some glycerin based tinctures. It really depends if I use the tinctures for my husband and I or for our son. Cayenne is a wonderful all purpose herb. I often use it to ward off a cold or to relief indigestion. Cayenne moves the blood and is great for circulation. It is very useful if you live in an area where it is cold and if you spend a lot of time outside. It helps to bring the circulation back to the extremities and will warm up the body from the inside. I use cayenne in capsule form as well. It is a great way to administer it to someone who can’t take the heat otherwise. Lobelia is a wonderful nervine herb. I personally use it only externally, as a rub. I find it a miracle cure to relieve the pain from a pinched nerve, or my lower back pain after standing for 8 hours at work. I use it to massage the area and the pain just goes away. Lobelia is an emetic so you have to be careful if taking it internally. A couple of drops will stop dry heaving when someone feels sick or has been vomiting for awhile. Taken in larger quantities it will promote vomiting (hence its emetic properties). This is something that I do not recommend since it can be dangerous. Willow Bark is a great pain reliever. Mixed with other herbs, this commercially available tincture became my substitute for pain relief medications like Ibuprofen, Tylenol, etc. The Agrimony tincture is a great help when our little one has diarrhea. We’ve experienced the stomach flu twice in two years and it can be very dangerous since the little one gets dehydrated pretty quickly. With this tincture and a calming mixture of Chamomile, Fennel Seed and Spearmint, we are able to keep the symptoms of diarrhea and upset stomach in control, so our 2 year old can keep enough food and liquids down to get him through the sickness. I usually keep a lot of Echinacea Tincture on hand and administer it in the first signs of a cold. At our daycare center they have a list with the diseases that go around and how many children have been sent home. When that list starts getting long I start giving my son Echinacea tincture even if he doesn’t have any symptoms. It boosts his immune system and often times the viruses that go around don’t affect us. Essential oils are an important part of our health care kit as well. I often use Eucalyptus oil in a vaporizer or add it to the water in our humidifier. During cold and flu season it is the best thing for a peaceful sleep. It will clear the sinuses and promote deep healthy breathing. Add a little Lavender Oil for that extra relaxation and to promote deep sleep. Tea Tree Oil is a great antiseptic. 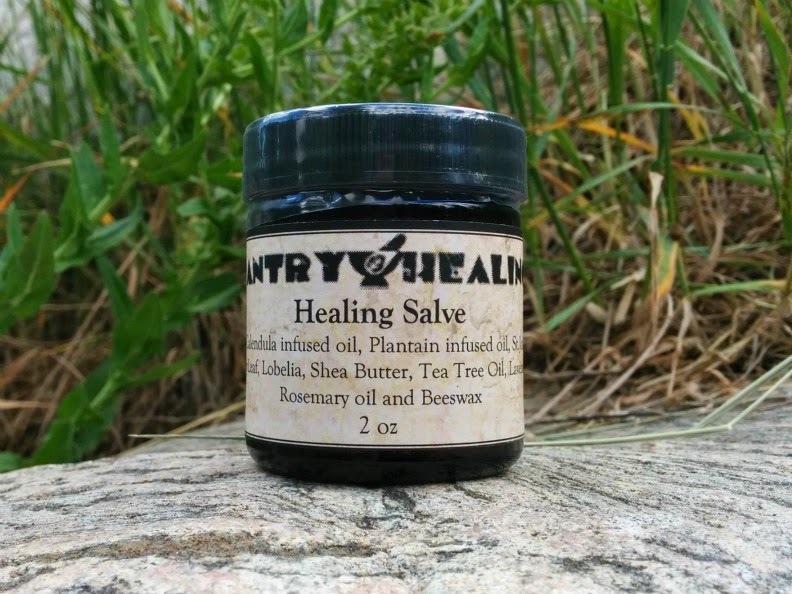 I use it as an ingredient in my Healing Salve since it is too strong to put on the skin without being diluted. You can use it as antifungal as well. I keep Peppermint oil on hand as an anti itch help. Even though my Healing salve helps with rashes and bug bites, I sometimes need the little extra help from peppermint oil. It will cool down the skin and help relieve itchiness. I prefer to dilute it with a little bit of Almond or Jojoba oil to help nourish the skin. I always keep some Aloe Vera gel on hand. It seems that the adults in our family use it more than the kids. It is a wonder full thing to have around since you can use it not only for treating burns, but for wounds and cuts. It will promote fast healing and will even take away the terrible itch from the mosquito bites. As a part of my herbal health care kit I keep Garlic oil and Mullein oil. Garlic oil is has natural antibiotic properties and is the best thing you can use for an ear infection. I use a lot of garlic in my everyday cooking in order to boost my family’s immunity and to keep them healthy. I always have a small jar of already finely minced garlic on hand. Don’t use the processed stuff from the store if you can avoid it , homemade is always best. Mullein oil is something that I started using last year when our then one year old had swollen glands due to an ear infection. It worked miracles. The swelling was gone the within 24 hours. I used it as drops for the ears mixed with garlic oil. What a wonderful medicine! So, this is part of what I always keep on hand in my herbal health care kit. I am in the process of preparing a couple of other herbal remedies in preparation for the winter season. Those I will share with you in another posting. Thank you for reading! Please share your own healthy natural remedies and experiences!